​Ms. Rosenberg has trained since the age of three in jazz, tap, ballet, lyrical, contemporary, pointe, and hip-hop. Rebecca attended Neuqua Valley High School and served as the president of the Orchesis Dance Troupe as well as captain of the Varsity Poms Team. She received her Bachelors of Science degree in Chemistry from the University of Illinois in 2008. During her time at the University of Illinois, Ms. Rosenberg was a member of the nationally ranked Illini Dance Team and served as the choreographer for their hip-hop routines which were competed at the National UDA Competition for three years. She also was a member of the University of Illinois branch of the international hip-hop company Dance2XS during her four years at U of I, and served as Artistic Director. Amongst her performances with Dance2XS, Ms. Rosenberg was able to train amongst such hip-hop crews/choreographers as the Jabbawockeez, Marty Kudelka, Sky Hoffman, and Gigi Torres. She now serves as the Artistic Director at Steps Dance Center. She is so excited to be back at her alma mater to direct the Neuqua Valley Orchesis Dance Company. Miss Simmons began dancing at the age of three. She competed with The School of Performing Arts Dance Ensemble and with Visceral Studio Company. She attended Benet Academy where she was on the Avions Dance Team for four years and was captain her senior year. She attended The Ohio State University where she received a Bachelors of Science in Mathematics and a Minor in Dance. While at Ohio State, she competed on the nationally ranked Ohio State Dance Team. She also has a Masters in Education from Loyola University. Miss Simmons currently teaches Math at Neuqua Valley High School and is so excited to be a part of the Orchesis Dance Company. Ms. Baumann began dancing when she was three and enjoyed studying many genres of dance, including ballet, tap, jazz, lyrical, contemporary, and modern. 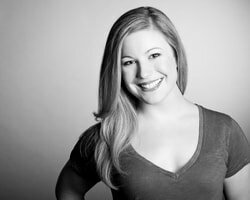 After dancing in college, Ms. Baumann directed and instructed ballet, tap, and jazz, at the collegiate level. Ms. Baumann was then able to bring her passion for many styles of dance to Neuqua Valley where she served as Artistic Director of the Neuqua Valley Orchesis Dance Company for four years. She has left a legacy with the Orchesis Dance Company with her infectious positivity, fashion sense, creative vision, and passion for inspiring her dancers and students.